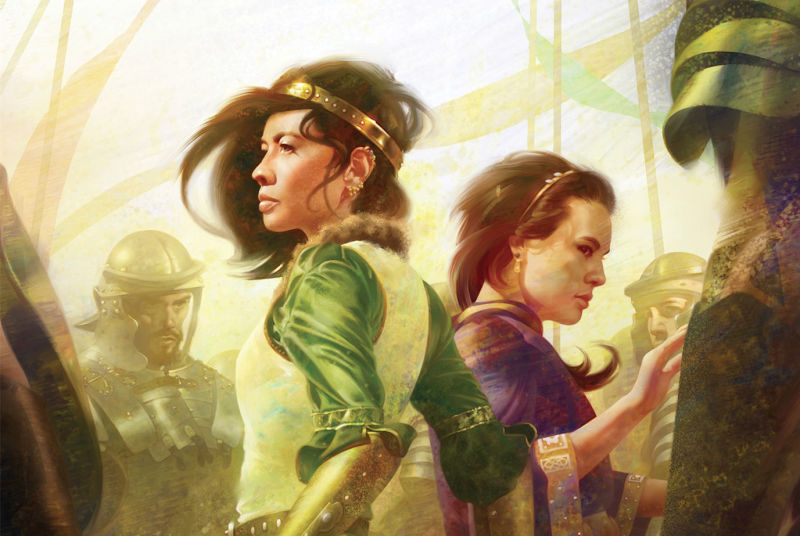 Fran Wilde took home the Andre Norton award for her novel Updraft last night, which makes us think that we’ll see her on an award ballot again before too long for her latest novella, The Jewel and Her Lapidary. Set in a protected valley, the subjects of a kingdom have long been protected by magical gemstones to which they are bound. The gems have the power to do powerful things, but can seriously damage the minds of anyone who uses them. When the Jeweled Court is betrayed, Jewel Lin and her Lapidary Sima are the kingdom’s last hope as they draw on strength they didn’t know they had in order to survive. Like in Updraft, Wilde has a particular fascination in fashion and accessories. These aren’t mere charms, designed for beauty, or to show off wealth: they’re deeply coded fixtures on a person designed to convey some information about the person. It’s a really interesting feature, and one that works well in a story such as this. This book is one of the latest from the Tor.com imprint, which has been specializing in shorter novellas and novels that wouldn’t normally be picked up for publishing. It’s a neat project that has a lot of promise, because they can churn out shorter stories such as this one. Plus, it makes for a great book to carry around: they’re short, and can generally be read in a sitting or two. Wilde’s latest book is a fun adventure, one that’s beautifully written, with an interesting premise. Unlike a novel (although this book could have stood to be a bit longer), there’s a limited page count for the story to unfold. The Jewel and Her Lapidary does this well. Where a longer work might be tempted to pad out with rich details and complicated subplots, Wilde gets to the point, providing some additional framework with excerpts from a fictional guidebook of the world written at some point in the future. There’s drawbacks to this short book - it weighs in at a slim 86 pages, because Wilde has constructed an incredible world: there’s much more that we as readers would like to see. Hopefully, she’ll be bringing us back for another adventure: if it’s anything like this book, we’ll be in for a treat. The Jewel and Her Lapidary is now available from Tor.com.